Is Turmeric all it's cracked up to be? Is Turmeric all it’s cracked up to be? Disclosure: I received this product complimentary for my honest review. All opinions are my own. There’s been a lot of experimenting with new flavors and spices (hello, lavender donuts!!) going on around here. Some special spices go beyond just adding flavor to your palate. Turmeric is just one of those special spices, the “anti-inflama-everything” spice, as we like to call it. A compound in turmeric called curcumin is responsible for much of it’s helpful properties. 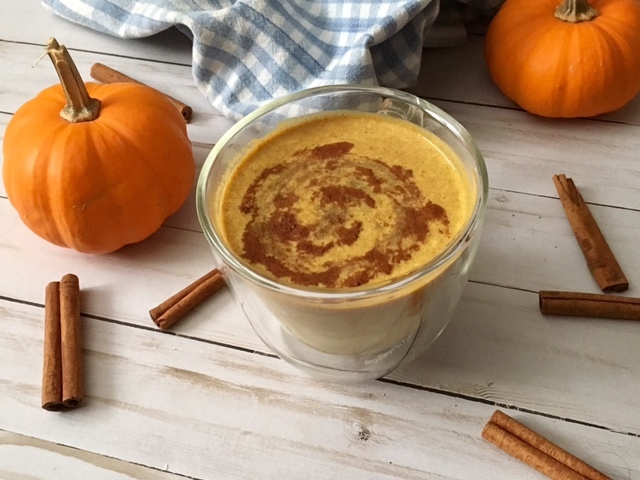 Let’s talk about some of the benefits packed into this bright little spice…. Turmeric increases the body’s antioxidant capacity. Just by living we are all creating free-radicals (some of us more than others). Oxidative stress is caused by dangerous free radicals floating around in the body, which can interfere with chemical reactions the body needs to perform. The effect of the body not being able to perform certain reactions can cause disease, quicken the aging process, and in some cases lead to more serious chronic conditions. Turmeric, an anti-oxidant, neutralizes these free-radicals preventing the oxidative damage that causes inflammation. Curcumin (the active component in turmeric) has been studied for it’s ability to fight rheumatoid arthritis (RA). A study was done on 45 patients following two groups of people. One group was taking a curcumin supplement and one group was taking NSAID. The conclusion of this showed that the group taking the turmeric supplement showed more improvement in the movements of their joints, rather than the group taking the NSAIDS, without having any adverse side effects (https://www.ncbi.nlm.nih.gov/pmc/articles/PMC3766928/). It is estimated that between 10-15% of the adult population in the US has IBS. For those suffering with nagging IBS symptoms, turmeric may do just the trick. As a food based addition, having 1/2-1 1/2 teaspoons per day (with black pepper of course) helps with gut motility (or the muscle contractions of the GI tract), and can stimulate the activity of digestive enzymes which help break down foods that may be giving you tummy troubles. With all of these curcumin benefits- and many more- it seems like this little compound may just be the “magical spice of life”! However, the one recurring problem with this antioxidant is that it’s absorption rate is extremely low. In fact, only a small portion of this spice is actually absorbed by the small intestines with the rest being excreted out of the body. 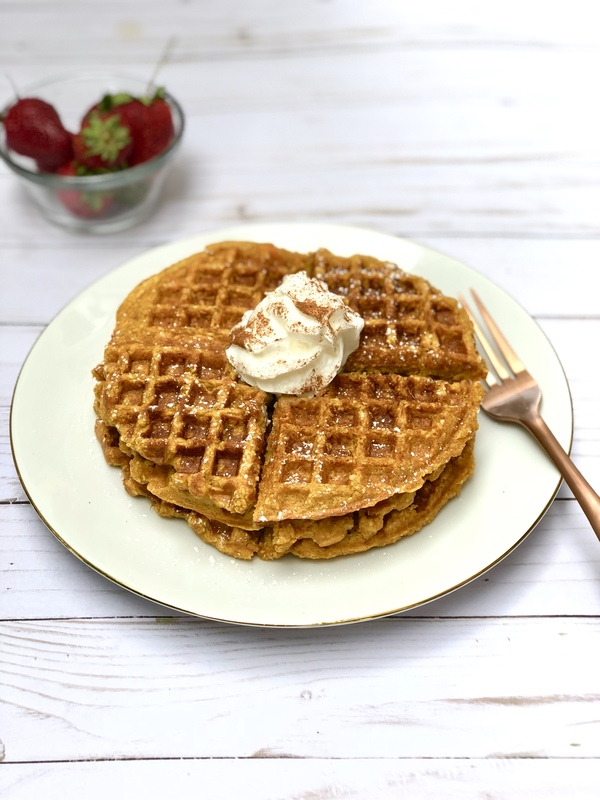 That means to experience some of these studied benefits of turmeric, you have to significantly increase your intake which may require a supplement. 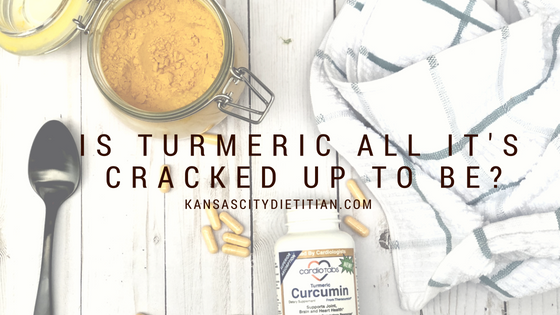 Before considering a supplement, ask what you are hoping to accomplish by incorporating turmeric? If you are looking for general long-term health benefits, consider adding it as a food-based spice first. Finding a reliable supplement in any category can by tricky, but because the absorption is so low, finding a good curcumin supplement adds another layer of difficulty. One of the curcumin supplements I trust is CardioTabs. Their formulation provides a much smaller particle size (sub-micron), resulting in the same benefits and a higher absorption rate. When comparing their supplement with standard curcumin powder, there’s performed 280 times better in absorption rate. 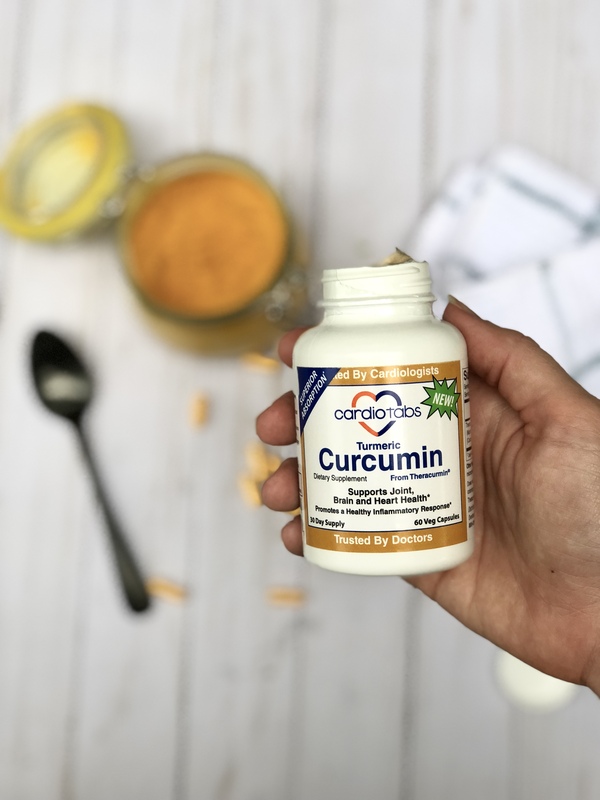 CardioTabs is offering my readers 20% off any of their products including the Curcumin with the code: MPR17414 at cardiotabs.com. Turmeric is a mild spice, and when used as an additive to a meal, you may not even notice it, other than the color. I like to add a dash to my smoothies or a pinch to my eggs. Here are a few other great foods that you can incorporate it into: Stir-fry, oatmeal, cookies, mashed potatoes, or veggies. Be sure to add a pinch of black pepper to help with the absorption. Who Should Use Caution With Turmeric? If you decide to take a supplement be sure to talk with your healthcare provider as any supplement can interfere with medications. Extra caution should be used for those taking Warfarin or other blood thinners. Curcumin can also cause increased stomach acid, causing extra reflux. Lastly, those who are pregnant should not take a supplement because it can stimulate contractions. For most of these instances it is likely ok to include turmeric on a regular basis as a food, but not as a higher dose supplement.